Dry / Wet Dash Finish. Bands, Coins & Patent Reveals. Vaulted Ceilings & Light Tunnels. About Us: Welcome to John Hoyne Plastering, with over 25 years experience covering all aspects of plastering and a committment to quality. We have earned a reputation for delivering a professional plastering service, tailored to the clients requirements. As a plastering contractor, both myself and my team have extensive knowledge of traditional plastering methods and craftsmanship along with current up to date modern practices. To this end we are always proud to say that ” All Previous Work Can Be Seen” including any of the photos on this website. 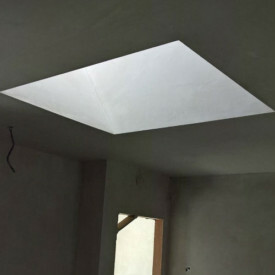 What We Do: We offer a complete plastering service, from new builds which may include bespoke designs such as round or curved walls. To small extensions for both local builders and homeowners alike. We also have the expertise required to undertake renovation work where traditional lime mortar is needed. So whether you have a new build, renovation or simply a room which needs re-skimming, contact us today for a competitive plastering quote. Area`s Covered: Co. Kilkenny, Co. Carlow, Co. Kildare, Co. Wicklow and South Co. Dublin. You can also connect with https://johnhoyne.com/ on Facebook.